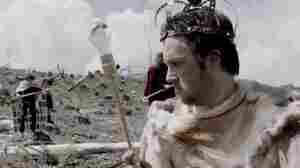 July 1, 2015  The indie rock band sets "The Ground Walks, with Time in a Box" in an over-the-top Game of Thrones-inspired world. 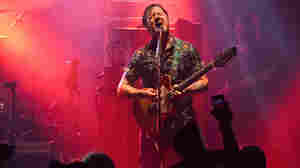 March 7, 2015  Singer and guitarist Isaac Brock speaks with Arun Rath about Strangers to Ourselves, the group's first album in eight years — and what he's learned in the meantime about being in bands. 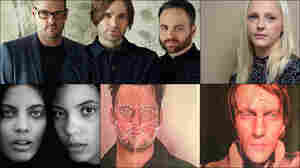 January 3, 2015  NPR Music's Stephen Thompson surveys a few anticipated highlights of the coming year in music, including Screaming Females and The Lone Bellow. 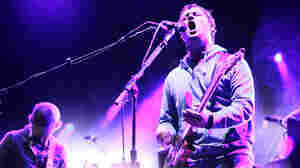 May 30, 2011  The Pacific Northwest stalwarts' headlining slot at the 2011 Sasquatch Music Festival found Isaac Brock and company pulling songs from throughout their career for a focused, electrifying set. February 14, 2007  While Modest Mouse's "Dashboard" lacks the snaky charm of "Float On," it's a pure pop confection: danceable, uncomplicated and ripe for airplay. 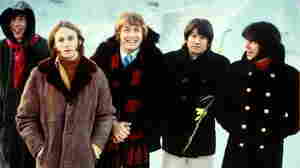 Fans too young to remember XTC can draw comparisons to Franz Ferdinand, what with the song's stiff, guitar-driven neo-disco rhythms. December 7, 2009  We could tell early on that 2009 was going to be an outstanding year for music. Here are the top 25, as selected by All Songs Considered listeners. August 17, 2009  On this edition of All Songs Considered, a new single from Radiohead plus Atlas Sound, Circulatory System and more. April 2, 2007  The band Modest Mouse have grown from a well-respected indie-rock act to a major-label band that sold over a million-and-a-half copies of its last record, Good News For People Who Love Bad News, in large part because of the inescapable single "Float On." Their new LP is titled We Were Dead Before The Ship Even Sank. 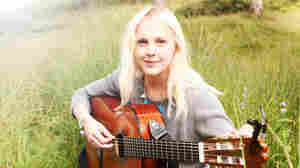 March 22, 2007  Bob Boilen speaks with reviewers Robert Christgau, Will Hermes and Meredith Ochs about the new CDs they're most looking forward to this spring. January 12, 2007  New music by Clap Your Hands Say Yeah; Johnny Marr teams up with Modest Mouse; Country rock, folk poet Lucinda Williams; American Standards from Erin McKeown and more. December 29, 2004  New artists like Iron and Wine; a self-professed has-been with little music ability (William Shatner); old-school artists like Brian Wilson and favorites like Wilco and Interpol ... you picked quite a list. 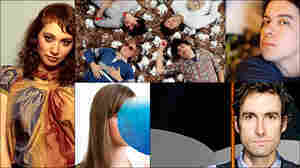 Thanks to all participants and to all the musicians that made 2004 a great year for new music. December 28, 2004  2004 was a year when a handful of artists with their best days long behind them surprised us with their strongest music; Loretta Lynn and Brian Wilson come to mind. July 13, 2004  Before the summer slips by and fall accelerates into winter, we offer this show as a chance to catch up on the great sounds of 2004 (so far). March 16, 2004  Contra music from the Portland Selection; Hawaiian ukelele master John King; Music of the Smiths by The Ukrainians; Glasgow's art school band Franz Ferdinand and more.